Come enjoy an intimate show with close free parking, full four course dinner, spacious seating, table service, and all gratuities included! "John Anderson, Shane Owens And Randy Travis Hang At Texan Theater"
Up-and-coming country traditionalist Shane Owens has been tapped to open several shows for country legend John Anderson. While performing at Texan Theater in Greenville, Texas last Sunday (March 12), Anderson invited Owens on stage for a rousing rendition of “Chicken Truck.” The track is included as a duet with Anderson on Owens’ current album, Where I’m Comin’ From. 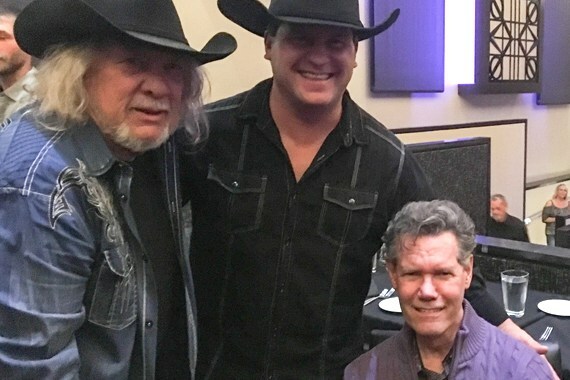 Owens is currently promoting his newest radio single from the album, “All The Beer In Alabama.” Randy Travis serves as executive producer for the project.